Osprey Pro Screen offers screen repairs and installation on windows, doors, lanais, pool cages and other screened enclosures in South Bradenton, Lakewood Ranch, Sarasota, Osprey, Venice, Nokomis, Englewood and North Port. Many companies offer rescreening services but Osprey Pro is just that ̶ professional. Experience, attention to detail and knowledge are what you receive when you hire our company for your screen repair or pool cage restoration. Every customer is important to us regardless of the size of rescreening job. We will gladly replace a few window screens or doors with the same level of customer service we provide to our customers requiring a full restoration of a 3 story pool cage. Our high standards and competitive pricing have made us many repeat customers over the years and their word of mouth referrals tell us we are meeting their expectations. Our restoration of pool cages and enclosures can dramatically save you money compared to the cost of replacement. We can pressure wash, rescreen, repaint the aluminum and replace the doors giving your pool cage a new appearance. Although we can not perform aluminum replacement or changes to the construction of your pool enclosure we do have professionals we work with and can recommend. Be sure to browse through our gallery to see examples of our work. We can handle the largest of enclosures up to 10 stories and no remodel project is complete without restoring the pool cage. Change the color, replace the screen and spline or just the doors and hardware. You don’t have to live with faded dirty aluminum or screens that are worn and sagging. If you paint the house don’t forget to paint the aluminum. We gladly provide free estimates either in person or virtually. Use our form for an estimate or to schedule an appointment. 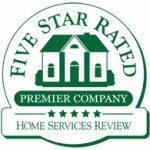 If you aren’t sure what you need or need a related home improvement service we will be glad to help you select the right service and suggest a provider. Our promise is 100% customer satisfaction. Our service technicians are on time, reliable, trustworthy, and fully insured. They respect your home and your time. 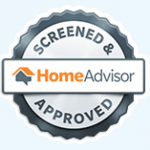 Choose the screen installation professionals with the knowledge and experience for your next screen repair or specialty screen installation. Osprey Pro Screen ̶ enhancing your view one screen at a time.